Mother’s Day breakfast with my boy. 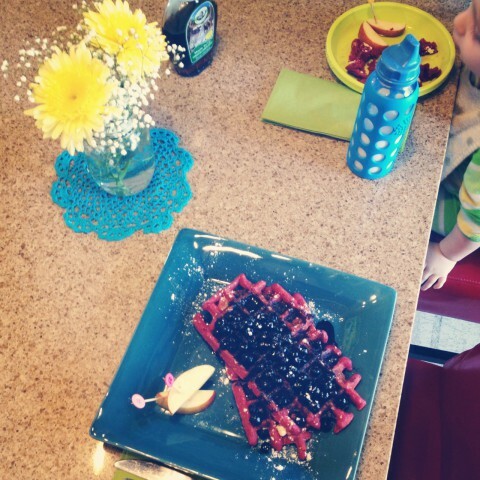 I cooked up special beet & apple waffles with blueberry sauce. Super yummy! We both gobbled them up. 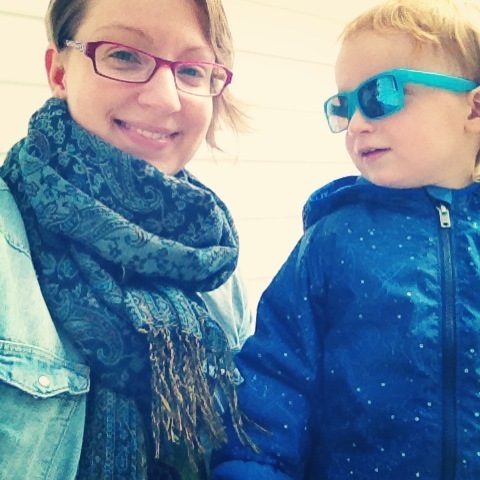 Just chillin’ outside with my boy on Mother’s Day. Love his sunglasses! I need some! May 12th would have been my oldest brother’s birthday. Sammy & I took a little trip up to the cemetery for a visit. When I told Sam we were going to the cemetery to see Uncle Blake, my sweet boy asked if we could read a story with him. So we brought one of his Berenstein Bear books with us and sat there reading a story together. 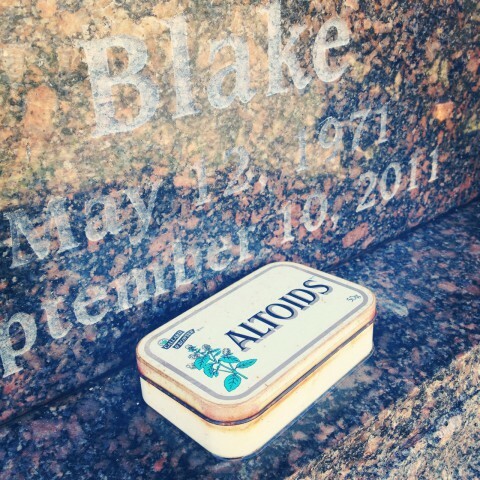 When we were just about ready to leave, I wished Blake happy birthday. Sammy heard me and starting singing Happy Birthday to Uncle Blake. Just another truly precious moment to get me through the week. Sammy was a big help this week with all sorts of tasks. 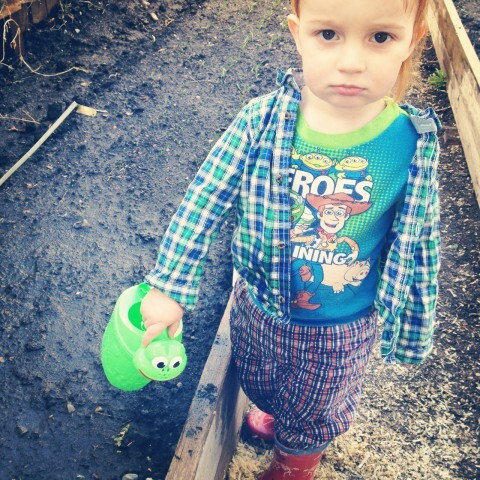 We did some watering at one of the yards for hubby and he was happy to try out his new watering can (I know he doesn’t look too happy in the picture, though). Finally got to enjoy several meals outside this week. 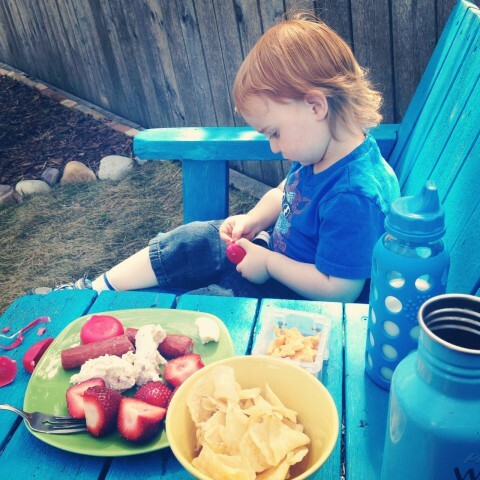 Loving our old blue bench (painted it last year, but barely got to use it). 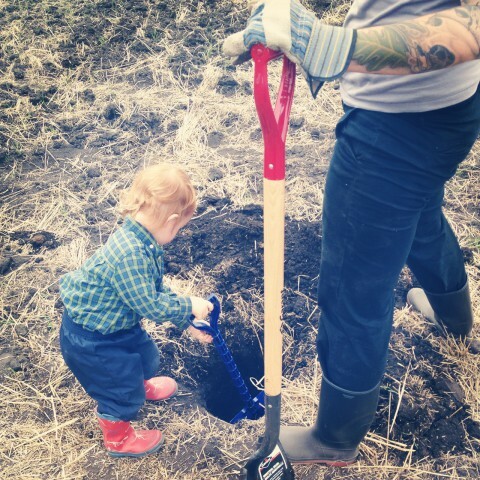 Sammy helping Auntie Tina dig one of the many holes out on our “big farm” for the hazelnut trees that we are planting out there. It’s a big task (over 400 hazelnuts to go in, 400 raspberry bushes, and a handful of pear & apple trees). Mark your calendars, the official tree planting day is May 24th! Contact me if you’re interested in joining us!